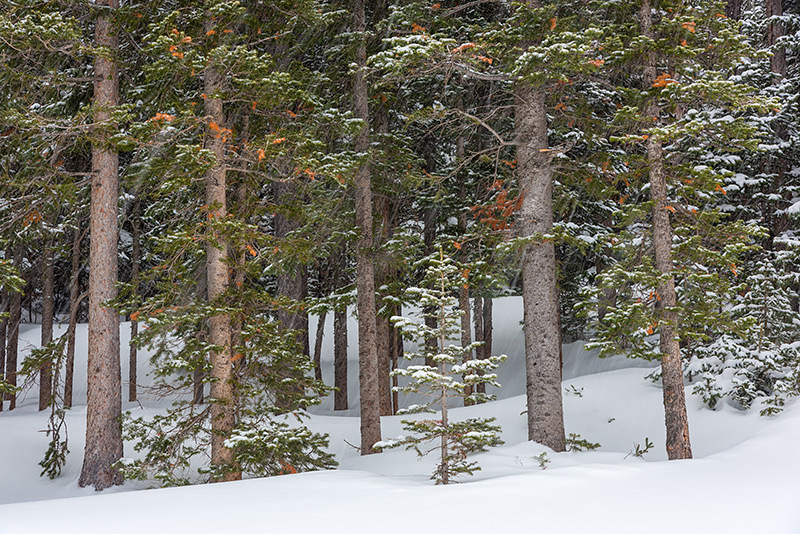 Snow falls on the pines tucked into Hidden Valley on the east side of Rocky Mountain National Park. Once a ski area, Hidden Valley is now better known for it's sledding run and backcountry skiing. The snow falling on the pines this day made both the sledders and the skiiers who visit Hidden Valley happy. Photo © copyright by Thomas Mangan.